What is LOVE, Dr. Cookerly? : What Makes Love Last? Synopsis: This mini-love-lesson first discusses love maintenance and its importance; then touches on male and female false training; followed by a list of a dozen “Lasting Love Factors”; and ends with how those factors might be achieved in your love life. Once you fall in love the rest is automatic, isn’t it? You will magically live happily ever after once you have found your one true love, isn’t that right? Once you both make a commitment, get married, etc. you’re in a state of relationship security and the rest is mostly easy -correct? Of course, intellectually you know these statements may not be true and you might have to do some hard work to keep a love relationship going and not lose it. 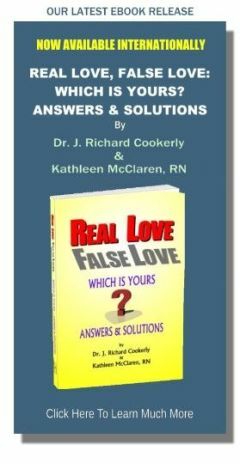 Subconsciously, however, you may be programmed to believe in and depend on some very false myths about love and what it takes to succeed as a couple. No one ever told you a story in which Prince and Princess Charming had to go to marriage counseling to keep their love alive and progressing. The truth is love relationships take a lot of maintenance work, just like everything else of major and lasting importance. About love and marriage, a super-rich real estate developer once said, “If you have to work at it (love) something is wrong.” He went on to explain that if something was wrong with it you might as well get rid of it and start over, which is what he did – marriage after marriage after marriage after marriage. Almost everybody wants their major love relationship to be lasting. Unfortunately not much is done to teach people they must do the maintenance work and the improvement work that makes a love relationship last. We certainly can’t rely on lasting love being magically automatic. Many a man has been trained to think ‘love work’ is ‘women’s work’. That’s a prescription for a heartbreaking breakup. Many a woman and also a lot of males have been subconsciously programmed to think “if he or she loves me they will know what to do, and do it”. That too is a prescription for a lot of heart ache and an eventual, big, love failure. Both people in a couples, healthy, real, love relationship will have to work at it, and they’ll have to do that labor in good team work to make it last. 1. There has to be healthy, real love and not sick, false forms of love. 2. 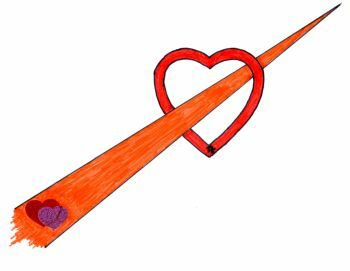 Love repeatedly has to be shown through behaviors to demonstrate, deliver and trigger feeling loved. 3. Power is democratically shared. 4. High appreciation and respect are mutual and commonly communicated. 5. The relationship supports the growth of healthy self-love in both partners. 6. Both partners repeatedly enjoy each other. 7. Truth prevails and deception is absent. 8. Emotions are shared and empathetically treated when shared. 9. Problems are treated in an ‘I win, You win, Nobody loses and, therefore, We win together’ approach resulting in an ‘It’s us against the problems’ teamwork and not an ‘Us against each other’ style. 10. The major kinds of behavior that tend to destroy love relationships are absent. 11. There is high valuing of the love relationship and the love partner and both are frequently and sincerely expressed. 12. There is a consistent working on the relationship for both growing, improvement and repair when needed, and never taking the relationship or the loved partner for granted or undervaluing either. You can learn and do a lot about all of the above 12 factors. Also you can do what it takes to make these 12 factors a description of your couple’s love relationship and make it deeply joyous, inspiring, energizing and a lot of simple fun. Not to work in teamwork with one another to achieve the above 12 factors in your couple’s life could be destructive and dangerous to the health and well-being of your love. At this website you can find mini-love-lessons to assist you in achieving each of the above 12 factors. Books, other websites, workshops, seminars, retreats, relationship coaching and counseling, and couples therapy also exist to assist you. Which of the above 12 factors gives you the most trouble, grabs your attention or puzzles you the most, and why do you suppose that is?